Pictured in front, from left, is grandmother Jo Mitchem, Trae Robinson and mother Christie Crain. In back is Saxony Lutheran principal Mark Ruark, AAU coach Charles Williams, brother Chase Robinson and Saxony Lutheran coach Kevin Williams. 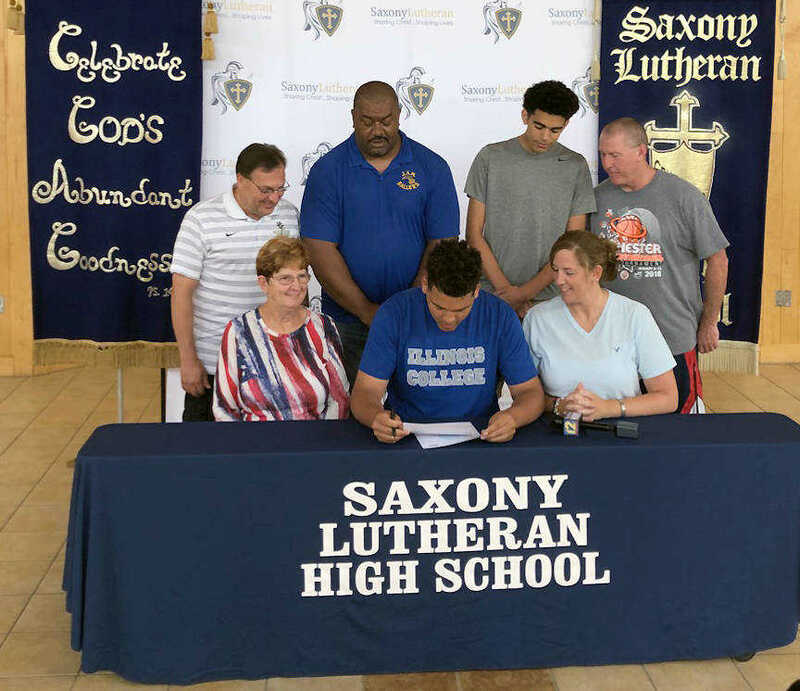 Saxony Lutheran basketball player Trae Robinson signed Thursday morning to continue his basketball career at Illinois College. Illinois College is a Division III program located in Jacksonville, Illinois, and competes in the Midwest Conference. The Blueboys went 8-17 overall a year ago. Steve Schweer took over as head coach at Illinois College in April. Robinson, a 6-foot-8 post, helped the Crusaders go 22-8 during the 2017-18 season, as they reached the sectional round before falling to eventual state runner-up Charleston. His season nearly never got started after a health scare last summer that saw Robinson collapse on the court during an AAU game in Kansas City, Missouri. Robinson was diagnosed with Long QT syndrome — a rare heart condition that can cause fast, chaotic heartbeats. 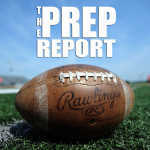 Not only did Robinson return for his senior season as a Crusader, he now gets to continue playing at the college level.